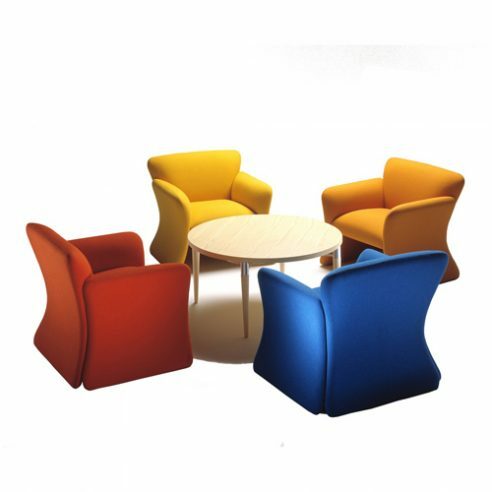 Getama was one of the last companies to commission new works from Nanna Ditzel and she designed the coffee table to compliment the Mondial range of chairs and sofas. The table is fitted with four leaves that swivel independently from under the table top. The Mondial coffee table can be grouped with the Mondial armchairs and sofas for use in reception areas, hotel bedroom or residential interiors.